The lively atmosphere at IFA Berlin is coming to a close. The Gorenje Group has presented two global brands Gorenje and Asko on almost 1000 square meters big exhibition area. A number of business partners, journalists and buyers from all over the world were hosted. First estimates of negotiated deals show that they already exceeded last year's results. Thus this years’ presentation will be the most successful in the eight years of Gorenje presence at the IFI. One of the largest fair events in the industry was also the chance for the Management Board of Corporation Panasonic and Gorenje Group to exchange the visits at both stands at IFA. 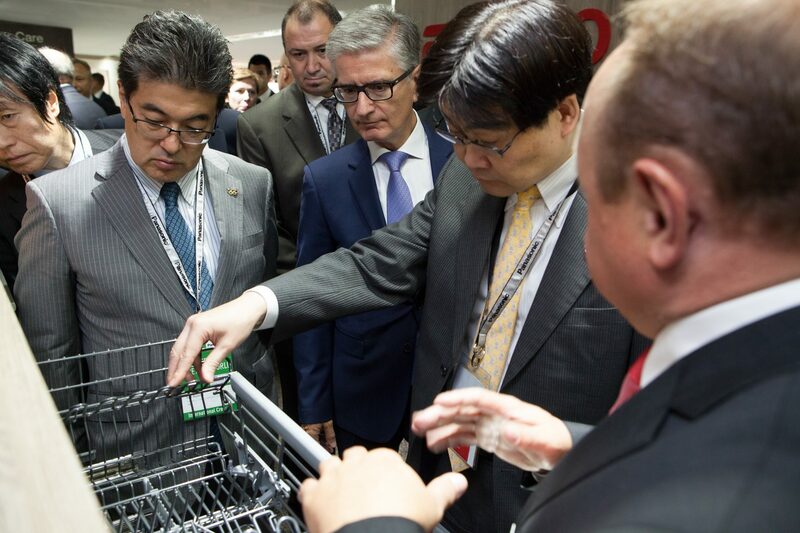 Mr Kazuhiro Tsuga, President of Panasonic Corporation, Mr Tetsuro Homma, President of the Appliances Company of the Panasonic, and Mr Franjo Bobinac, President & CEO, with other Gorenje Board Members agreed that strategic alliance has already brought many positive effects to both partners. They discussed the actual activities and future cooperation with the aim to improve their overall international competitiveness and business efficiency.